In today’s digital age, businesses are bound to fail if they don’t have an online presence. Whether it’s a Facebook page or a Twitter account, having a channel where users can engage with their favorite brands is a growing part of a successful marketing process. And it’s not just millennials that actively use social media. Each generation, from baby boomers to the Gen Zs, play an active role in the social media sphere all over the world. In fact, it’s estimated that by 2018, the world will have 2.67 billion social media users, which is a growing pool of opportunity for businesses. Whether their target market is the millennials or the older generations, having an active online presence is a must for any business. One of the strategies that have been popular for years is content marketing or creating content to engage and connect with a business’s target market. More and more case studies prove how successful content marketing is in growing a business. What’s great with content marketing is that anyone with a computer and an internet connection can learn how it works. It only requires dedication in learning the various strategies and improving them based on experience as one goes along. 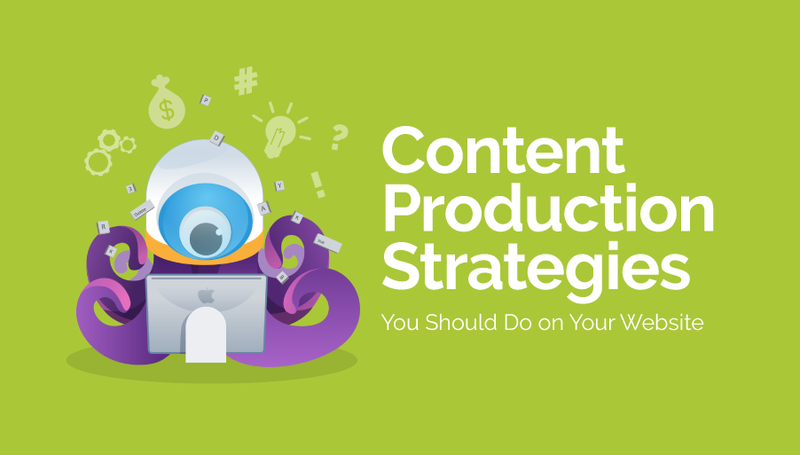 This infographic from Microcreatives shows six content production strategies to get you started. It explains how each one works, and how businesses who practice them can gain leverage in social media and create authentic connections with their audience that translate to better sales. Easy to learn but hard to master, these strategies, when used wisely, can skyrocket businesses to the top.